These easy DIY candles are a cheap way to personalize your home decor. Making homemade candles is a fun activity you can do with kids in a bit of time and easily available supplies! Process a beeswax candle by merely melting the beeswax pellets and pouring the melted wax into the mold. For a little added fragrance, you can add a few drops of lemon essential oil. Secure a wick at the bottom of a seashell and pour the melted wax into the shell, a little lower than the top. 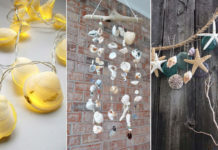 Try to use deeper shells for this DIY as it can give a longer light time to you! Add dried rosemary and lavender to melted wax and allow it to take shape. Before the wax hardens, add a few drops of rosemary and lavender essential oils. Visit here. 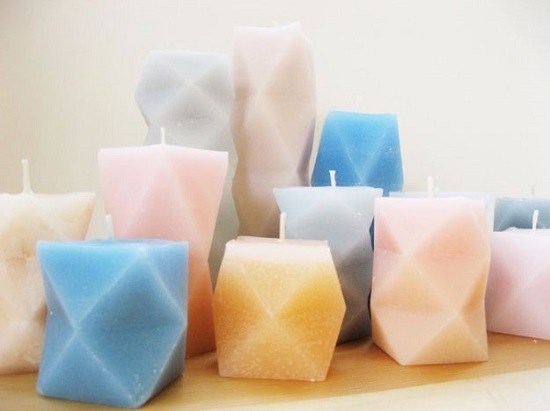 Create these geometric and colorful candles using mold out of paper and candle blocks. Check out the recipe here. 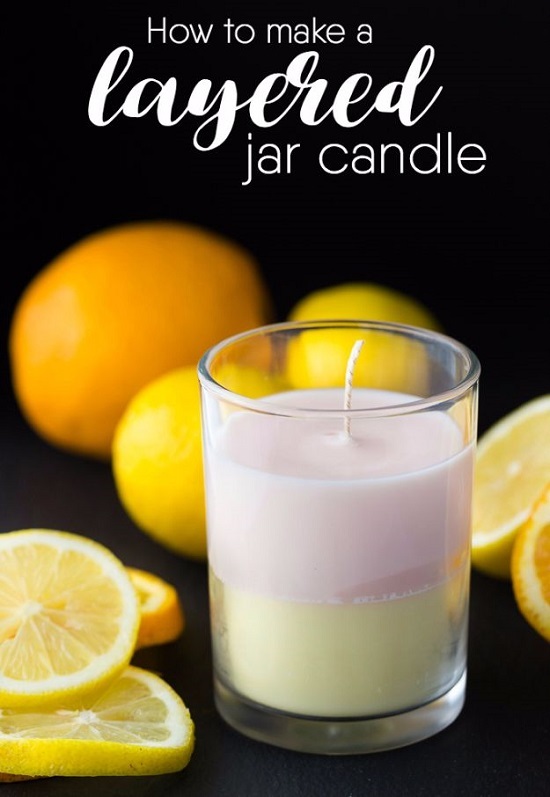 This candle making DIY is one of the basic homemade candle recipes in which you melt the wax and pour it in the holder. To add a combination of fragrances, use essential oils. Use colored wax dyes to get the right chai color and whisked melted wax to form the cream over the candle. Find this unique homemade candle here. If you have some vintage tin cans by your side, you certainly want them to put into use with this idea. Just position the wick into the can and add the melted wax, that’s it! 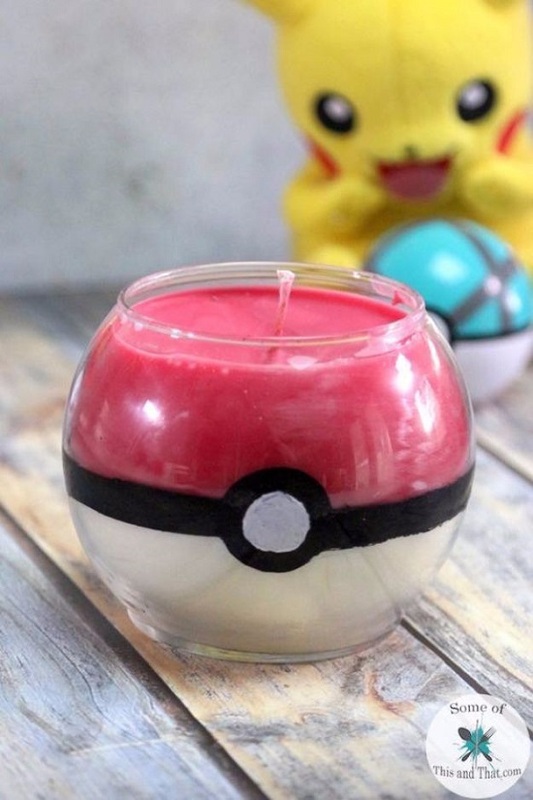 If your craze for Pokemon is exceptionally extreme, this DIY is sure to please you at heart. Find the right size round glass container and follow the steps in the video below. For these pretty candles, wrap tealights with different colorful washi tapes; that’s all! We found the idea here. Make use of some spare teacups by converting them into this candle using candle wax, wick, and a hot glue gun. Learn the tutorial here. 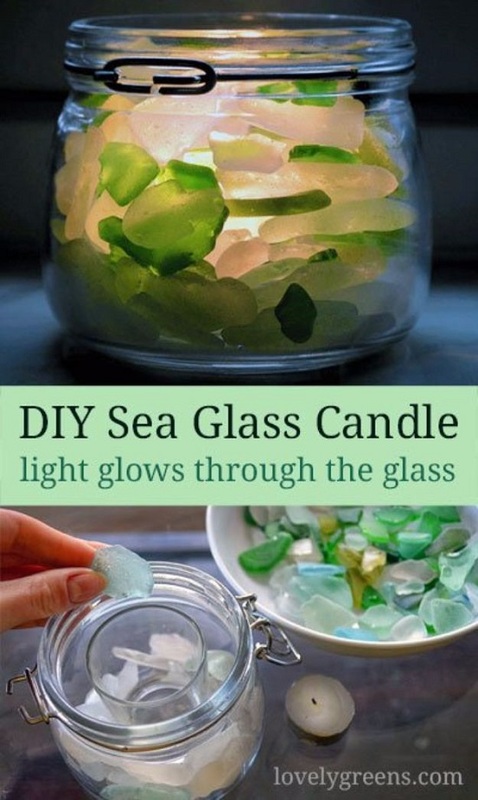 Put a tea light glass inside a mason jar and fill the space between them with small pieces of sea glasses. The idea courtesy is on Lovely Greens. Citronella candles are not only good for decoration, but they protect you from mosquitoes as well. You’ll need cans, a double boiler, wax, citronella oil, wick, scents, and this tutorial. Add a wooden wick to the center of a tumbler glass and add melted wax and fragrance after that. Coco Kelley has the tutorial. 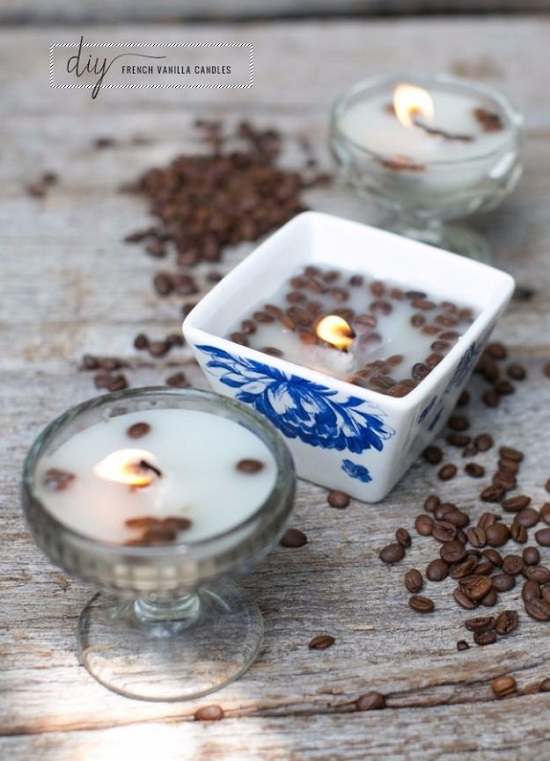 Let your homemade DIY candle give out a chocolaty and nostalgic smell through coffee and vanilla beans. The tutorial is on Hello Glow. 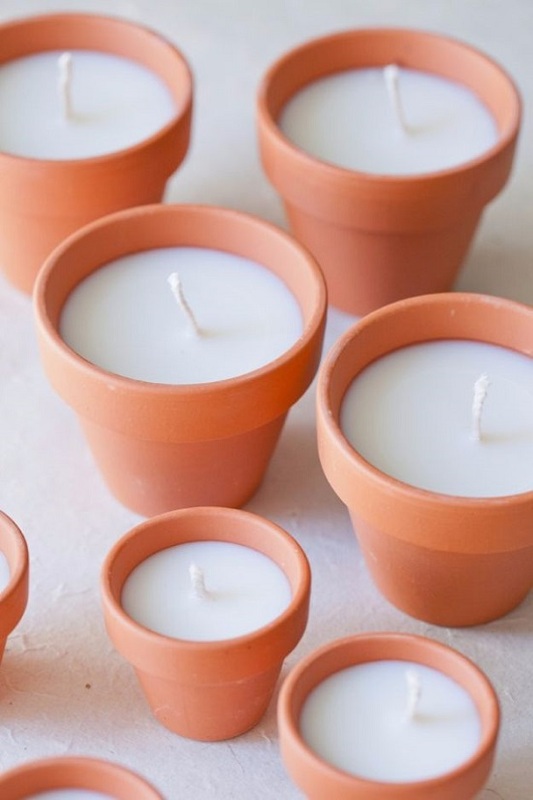 You can use multiple containers to DIY a homemade candle and so you can use a mini terracotta pot. Insert a wick and pour the melted wax, that’s it. Spray paint plastic animals and candle holders to recreate few of such DIY party candles. They are a fun way to keep your kids indulged. 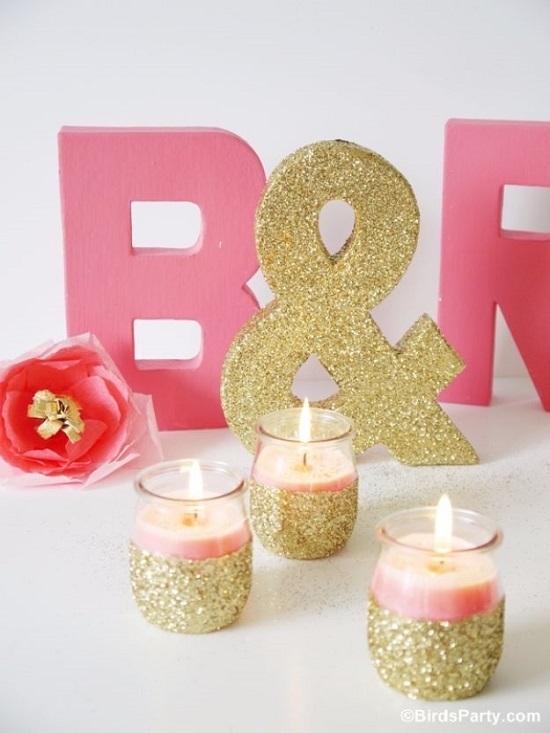 DIY these glittery candles in metal tins with wax flakes, wicks, glitter, sticks, pouring pots, and tins. Learn the steps here. 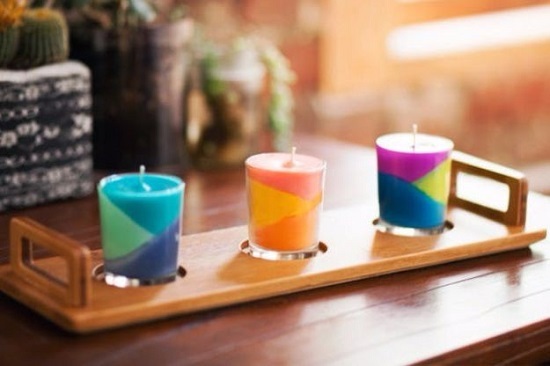 Have fun making these color block DIY candles out of different shades of crayons! Find out the details at Brit. 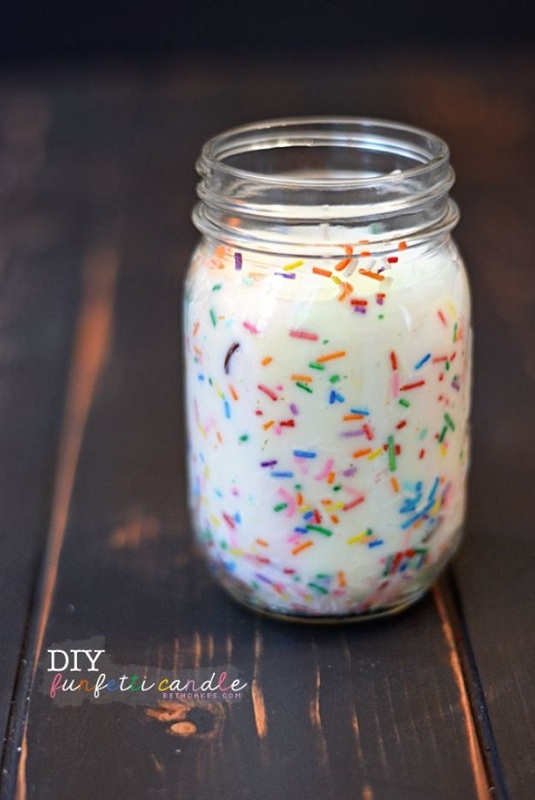 Create this tasty-looking funfetti candle using wax and rainbow sprinkles, a fun to-do project with kids. Visit Beth Cakes for instructions. 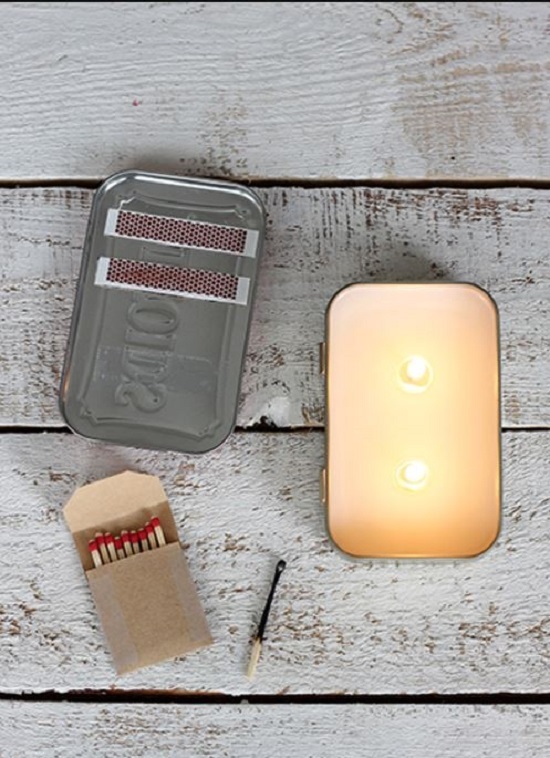 Look how Jillee used a mini tin can to DIY emergency kits out of it, one of which is an emergency candle. Some melted wax and wicks are all you need. 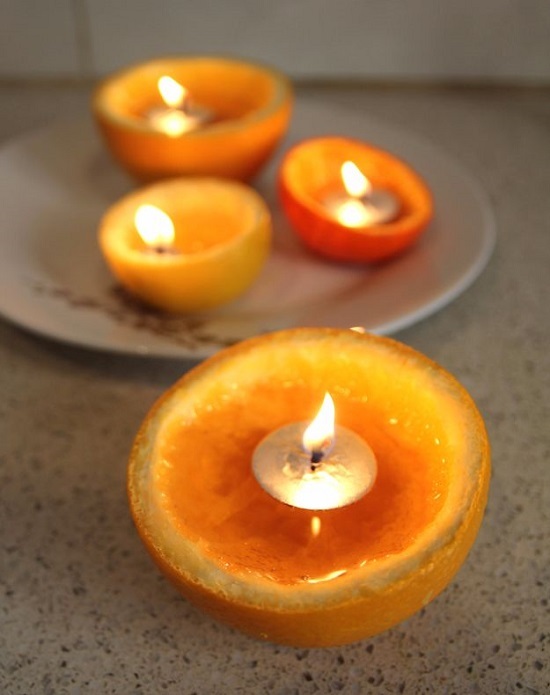 This is one of the unique and creative candle making idea you’ll find on the web today. Learn here to make a DIY candle in the sand. Orange peel and citronella oil make the deadliest combination to combat mosquitoes, not just this, they smell amazing. Carefully remove the middle part of the orange and fill the cavity with oil- you can use any vegetable or olive oil too. 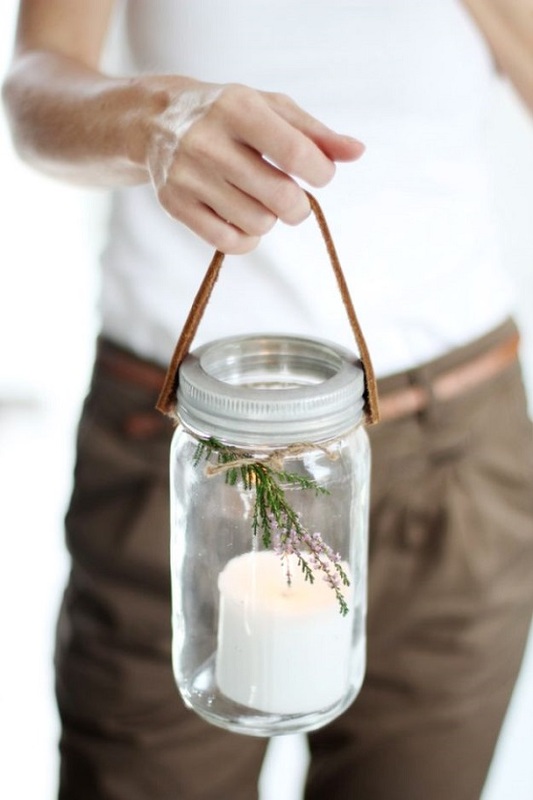 For this tote candle, you need a leather belt, twine, candle, flower, and a jar. The project is briefly described here. Process this teacup candle with caramel fragrance oil and liquid dye combined with wax flakes and wick. Learn the procedure here. Wrap the bottom of the candles with colorful yarns and just put them in the candelabra. We found the idea here. Cover half of the glass pots with glue and glitter to replicate this candle holder at home. Simple and easy steps are available here. Create this two-layer candle with the same wax dyed in two different colors separately. More details on the project are available at Simply Stacie.